The Civil Service Commission (CSC) was conferred the “Governance Trailblazer Seal” after it achieved the highest compliance rating at the Performance Governance System (PGS) Revalida held October 14 at the Mandarin Oriental Hotel, Makati City. The CSC was given a final rating of 9.03 over 10 by members of a multi-sector panel based on the revalida presentation made by chairman Francisco T. Duque III on the agency’s progress in adopting the PGS. 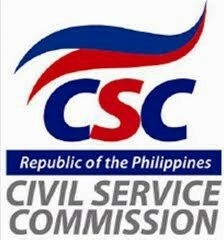 The revalida was required of CSC in order to pass Compliance, or the second of four phases, in the PGS process. The panel was composed of National Competitiveness Council (NCC) Co-Chair Guillermo Luz, Institute for Solidarity in Asia Chair Jesus Estanislao, former NCC Co-Chair Ambassador Cesar Bautista, 1st District of Samar Representative Mel Senen Sarmiento, Assistant Executive Secretary Michael Alimurung, Department of Justice Assistant Secretary Geronimo Sy, Marikina City Mayor Marides Fernando, Kabayanihan Foundation founder Alex Lacson, National Citizens’ Movement for Free Elections Secretary General Eric Jude Alvia and former CSC Chair Ricardo Saludo. The CSC bested other agencies vying for Compliance including the Department of Public Works and Highways, Philippine Army, and Philippine National Police. In his presentation, Duque reported that the CSC has successfully met the requirements for compliance, starting with the cascading of the Strategy Map and Performance Scorecard within the agency and alignment of strategic initiatives with the budget to ensure that they will be properly executed. The Strategy Map is a visual representation of the CSC’s objectives, while the latter tells how each objective will be measured. Duque added that the CSC has secured the commitment of a multi-sector governance coalition (MSGC) to help the agency in assessing how it fares in achieving its targets. The panelists noted the CSC’s accomplishments and awarded it with the Compliant status. “As we move up the PGS pathway, it is clear that the CSC is well on its way to achieving its vision of becoming Asia’s leading center of excellence for strategic human resource and organizational development,” Duque said. The CSC was conferred the Initiated status on March 30 after satisfying the requirements of the first phase of the PGS process – producing the agency vision, mission and core values, crafting the Strategy Map and Governance Scorecard, and forming the MSGC. The PGS is hinged on the Balanced Scorecard technology, a management tool for tracking performance developed at Harvard University Business School. Primarily, the PGS translates a vision to specific strategies and quantifiable commitments. It consists of four phases: Initiation, Compliance, Proficiency and Institutionalization. An organization is elevated to “Maharlika Hall of Fame” status upon full institutionalization of the PGS. Inherent in the design of the PGS is the partnership between the organization and its stakeholders, thus making governance a responsibility both of the government and the governed. An agency can only proceed to the next stage of the PGS after passing an audit review by its stakeholders.